Are you thinking about buying a house without seeing it first? In our latest post, we offer some questions to ask when buying a house sight unseen in New York. Buying a house without seeing it first may sound completely crazy. However, there are definitely some great benefits so long as you are asking the right questions. For starters, you will be able to quickly lock down a house, while others are still making appointments for showings. 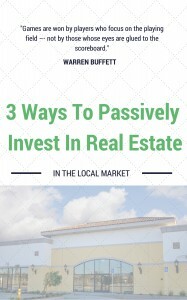 Knowing how to buy a house without seeing it first, will allow you to invest anywhere in the country… or even the world! Asking the right questions will minimize your risk and give you the confidence to buy the house sight unseen! Below are a few tips and questions to ask when buying a house sight unseen in the New York area! When choosing to buy a house sight unseen in New York, you’ll want to be sure you have a floorplan of the property that is to scale. You’ll want to be able to get the most accurate sense of the layout as possible in order to get a real idea of what the house is like. In addition, request additional photos of the property, not just pictures used in the listing. Listing photos can often be doctored making spaces appear larger than they actually are. In order to get a true sense of what you are buying, you’ll want some candid photos, covering multiple angles of a room.